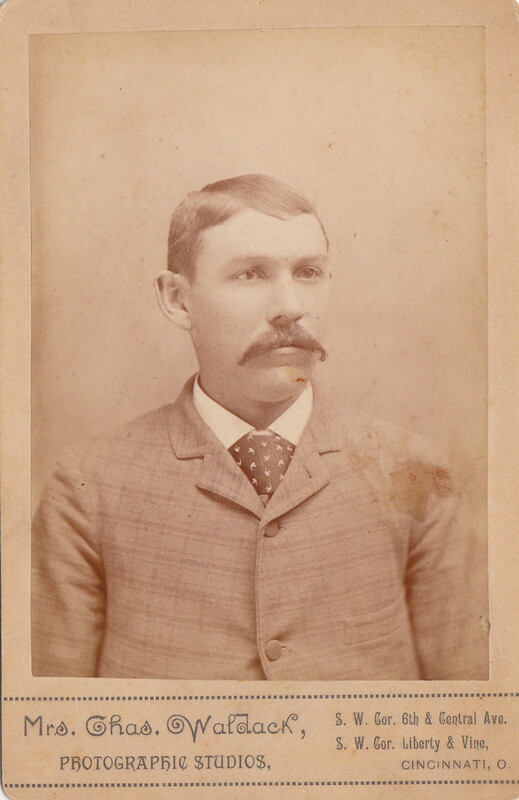 William was born on the 9th day of June 1859. There is some dispute on whether he was born in Cincinnati, Ohio or the first Miller son to be born in the new home his father had built in Otter Creek Township, Indiana. Some census state Ohio but most of them give Indiana as the birthplace. Legend has it…….Ohio. 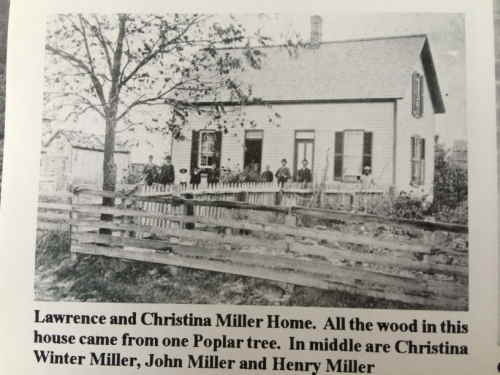 According to legend, told to me via my mother in law Phyllis Miller, Christina brought both boys, William and John on the train to Dabney, Indiana where she was met by a neighbor or cousin, Aunt Lizzie Salyer. The ladies then walked the distance from the train depot in Dabney to the new home that Laurence built for the family which was about 3 miles. The story goes that Christina carried William as a babe in arms, and Aunt Lizzie held John’s hand during the walk. Laurence and Christina Miller Home outside of Holton, Indiana in the Otter Creek Township on south County Road 600 West just south of East Co Rd 100 South. The home sat on the east side of the road. 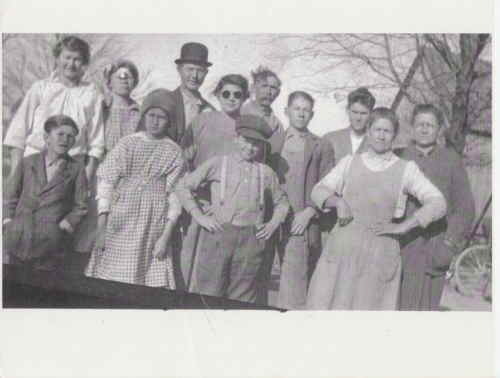 According to the 1940 Census, William who is now living on his homestead a widower with daughter Lizzie and son Leonard, states that William’s highest level of education was 1st grade and that he still was a farmer. Now we must remember that for most children of the time, they were needed on the farm and taught to read and write and then everything else seems to have been from what they learned from their parents or life in general. An old atlas dated 1883 gives a location of school no. 8 just across and up the road from the Miller Home, so we know it wasn’t a distance issue that William didn’t attend school for long. It is stated in the 1930 Census that he could read and write. William married Barbara Huffman on 18th of April 1893 in the St. Magdalene Parish in Shelby Township, Ripley, Indiana with the Rev. Michael officiating. A first marriage for both of them. William was 33 and Barbara was 26 years old. Amy Crow of “No Story too Small” challenged the genealogy community to get out and write. 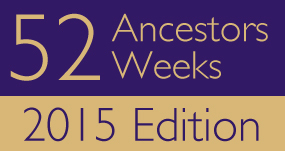 The Challenge was to write about 52 ancestors in 52 weeks. This is my attempt to share my love of genealogy with others. If you share this family, please contact me. I’d love to share what I have with you. Collaboration is the key element in forming family bonds from afar. This entry was posted in Elusive Ancestor Hunter and tagged Anna Maria "Annie" Miller, Barbara Hoffman, Catherine Katie Miller, Clara Miller, Dabney Indiana, Elizabeth "Lizzie" Miller, Fred Miller, Harvey John Miller, Holton Ripley Indiana, Leonard Miller, Otter Creek Township Ripley County Indiana, Shelby Township Ripley County Indiana, William Miller. Bookmark the permalink.